We understand that your first reaction when you hear us talking about edible insects may not be 'oh, yum!'. In Europe, eating locusts, larvae and crickets is still often thought of as a crazy idea. And what can you make with them anyway? Look no further. We have all kinds of great recipes on this page. Each and every one can be made with the products we sell. Have a great recipe of your own you would like to share with us? Send an email to info@delibugs.nl and, who knows, you may soon see it added to our list! Remove the locusts' legs and wings. 2. Heat a frying pan over medium heat (without oil) and brown the locusts for 4-5 minutes until golden. Allow to cool. 3. 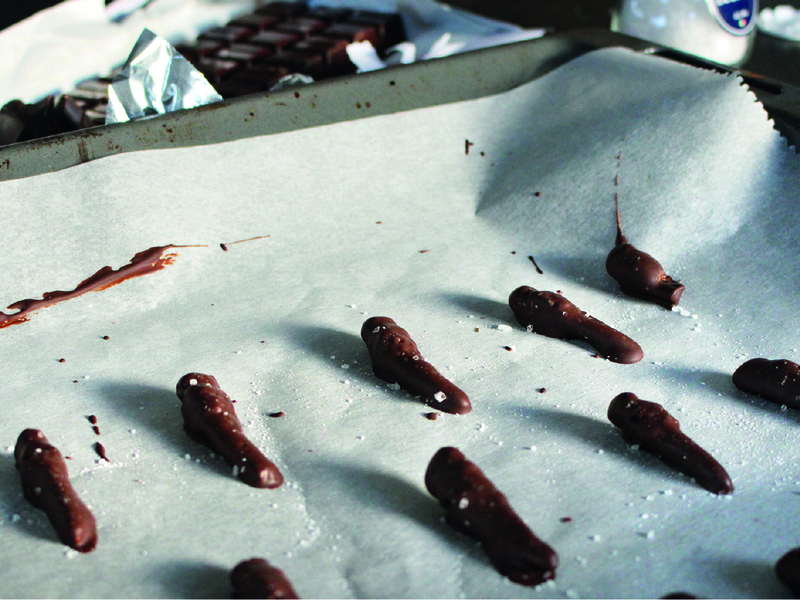 Melt the chocolate au bain-marie and stir in the sea salt. 4. Dip the locusts in the chocolate and place them on a piece of baking paper to harden. 5. You can eat them like this or repeat to add a second layer of chocolate. It's up to you! 1. Preheat your oven to 175 °C. 2. Mix the bananas and dates in your food processor to a smooth batter. This can also be done with a hand blender. 3. If you use oatmeal: 'pulverize' the oatmeal in your food processor to flour. 4. In a different bowl, whisk the eggs lightly and add some salt. Mix this with the banana puree. 5. Add the almond, oat, and cricket flours to the batter and stir well. 6. Now add the baking powder and stir until smooth. 7. Finally stir in the unroasted seeds. 8. Grease the cake tin with coconut oil or use baking paper. 9. Pour the mixture into the cake tin and put in the oven. 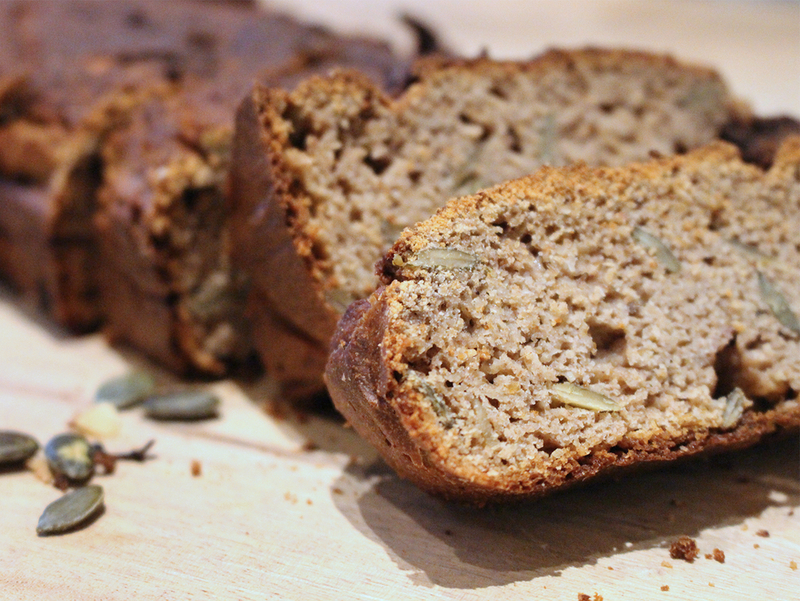 Bake your banana bread for 45-50 minutes. 10. If the top of the cake is getting too dark, cover it with baking paper..
11. Check whether your banana bread is done by poking it with a skewer. Is it clean and dry when you pull it out? Then your bread is ready. 12. Let the cake cool on a rack.